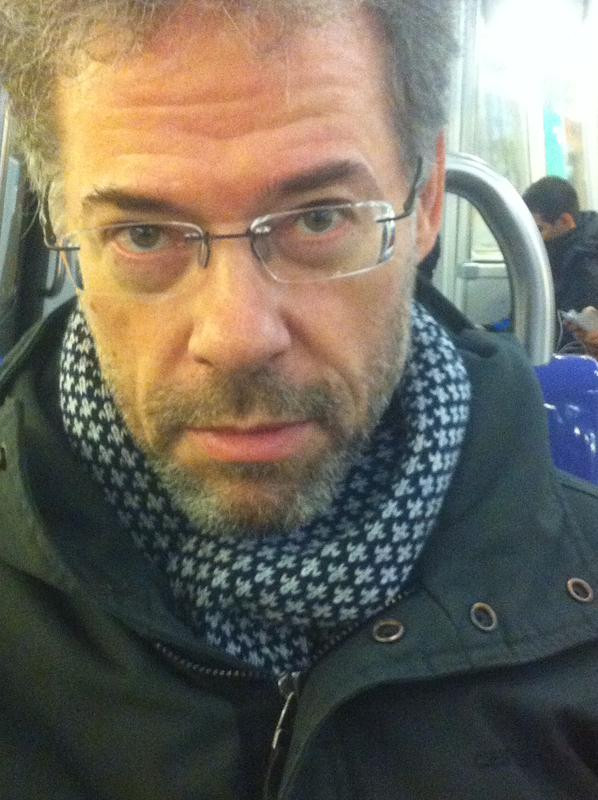 PARIS – The thing that keeps me going on this blog is the connection I make with its readers, the people who write in to me about it, the people I meet in open mics who say, “You’re Brad, aren’t you? I found this open mic because of your blog!” Can there be anything more satisfying than that? Well, upon my return from Montreal last week I found waiting for me in the snail mailbox the hardcopy of a glossy and classy magazine called Pittsburgh Quarterly, which is the premier popular, general interest magazine of that part of Pennsylvania. And in it was a big article by a man named Tim Menees, who is an editorial cartoon artist, a painter, a musician and a writer. And his story was entitled: “Rainy Nights in Paris: Tim Menees Lands a Flat and Plays the Blues.” In the story, in highly readable prose, Menees writes of his adventures on a vacation in Paris last year in which he plays piano at the Tennessee Bar open mic on Monday nights. And he tells the tale of how he found the place – from my blog…. 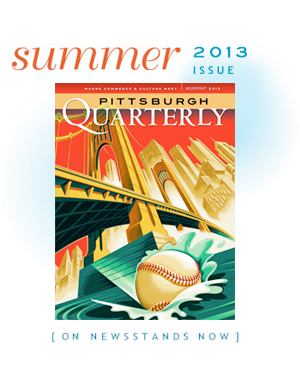 The story, in the Summer 2013 issue of the Pittsburgh Quarterly, avoids most of the usual clichés of writing about renting an apartment in Paris and discovering the City of Light. Of course, it has to have some of those, and one of the more flattering ones is how he ties the ethos of the recent Woody Allen film, “Midnight in Paris,” to the current situation that I and many of my friends now live, with the Tennessee Bar’s open mic as one of the gathering places for that. The description of his evening at the open mic is just great, and I can picture it all. “In the crowd is a sculptor from Philadelphia who lives and works in Paris. Brad Spurgeon. James. The Houston girl staying another two months to perform and write music. That, of course, is referring back to how he started the piece by referring to the Woody Allen film and the expat artists of the 1920s and 30s. Yep, the beat goes on, and on, and on. Tim, who also illustrated the story with his own artwork paintings of Paris, will be returning to Paris this October for another round, and an aim to visit more than just the Tennessee Bar open mic.